First of all, unlike most fullbacks these days, Taiwo doesn't lack aerial presence. He is a force to be reckoned with and unlikely to get out-jumped when a floating cross comes in from the opposite flank - a problem Milan has had for years. Don't get me wrong - he's no Maldini but his physicality makes it very hard for a winger to get the best of him in the air. Packaged with sheer physicality come pace and a relentless will to run up and down the flank for 90 minutes. Having a genuine left-footed fullback patrolling the flank will do wonders for Milan's versatility in attack and opposing teams will no longer be able to shift to the other side knowing a useful cross is very unlikely to come from the left. With this threat comes a problem, and that is defensive responsibility. I'd expect Taiwo to struggle with this a bit in his first couple of games but with proper guidance he should adapt quickly - the French Ligue 1 is, unlike the Bundesliga or the Eredivisie, known for a balanced approach to football. 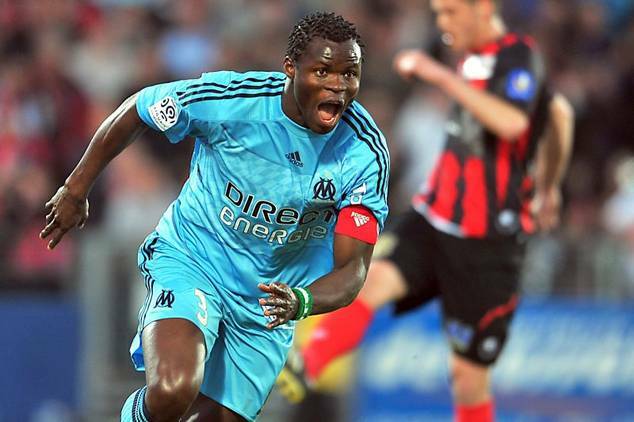 You can think of Taiwo as an African Roberto Carlos with less pace, but more strength. Another thing these two have in common is a ferocious left-footed shot from distance. Taiwo has been known to knock down a few goalkeepers and contribute a few goals per season - some from open play, some from free kicks and some from rebounds after the keeper gets laid on his back trying to catch the ball. With the likes of Robinho and Pato lurking in the box, you have to believe a few easy goals will be scored from such situations. Milan got the full package here - an improvement in defense, in attack, on the ground, in the air and in set pieces. A few defensive mishaps here and there are to be expected, but the risk is more than worth the award - especially considering the fact Thiago Silva and Allegri's narrow midfield are likely to be ready to fill in any holes left by the Nigerian's forward runs. We'd like to thank Comrade88 for the idea for this post.